Welcome to my blog! I’m so excited to finally be making my first post, and I hope my readers do get something out of my blog. So a little bit about me… My name is Brooke, and I am in my twenties. 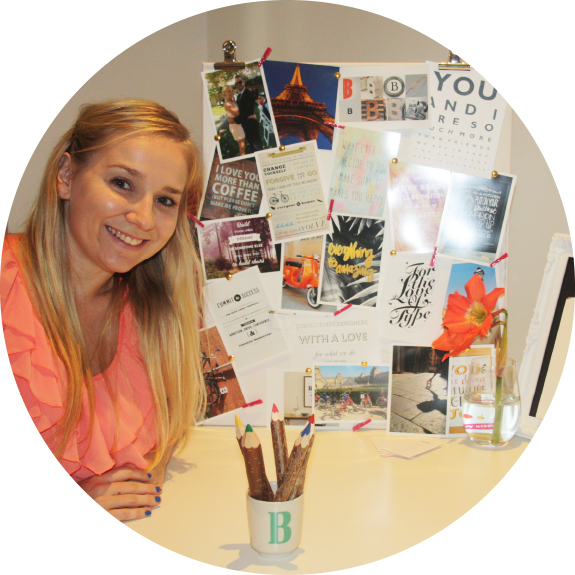 I’ve just started my own business ~ a boutique Graphic Design studio called Studio B Designs. I live in Darwin, Australia ~ which is ‘home’ for me, having grown up here. For those who don’t know Darwin, it is the most Northern City in Australia. It’s hot and humid but we get some pretty awesome thunderstorms and more rainfall in one day than what most cities get in a year! I believe we have the most spectacular sun rises and sets in the world (but no, I haven’t seen them all yet ha ha)… We only have 2 seasons, the Wet Season and the Dry Season – pretty self explanatory. Our Dry Season is from May to September, which is a perfect time for tourists to escape their freezing winters and enjoy Darwin’s spectacular warm sunny days. Kakadu National Park is on our ‘doorstep’, as are many other amazing adventures and scenery (like Uluru). Yes we have crocs, and yes some people have them as pets. No not in their swimming pools! We can only have the baby ones as pets and have to give them back after 1 year. No we don’t ride kangaroos to work, and yes a lot of the Territory still has dirt roads, but in the city we have normal roads, cars and houses (which are probably stronger than yours as we have to build to a Cyclone code). Living in Darwin can be boring though, and very restricted. Our population is tiny compared with the larger Australian cities, so we don’t get awesome music festivals or most of the cool sh*t really… Which means we spend a lot of our time, and money, traveling…. oh! and drinking. Yep Darwin is pretty renowned for that! Why have I told you so much about Darwin? ?…Because I think it’s pretty reflective of my personality. I have two moods – Happy Sunny Brookie, and cloudy/stormy! Ha ha! I’m very easy-going, I love having fun and socialising, fishing and the outdoors, fitness and health and just beautiful things. Last year I toured Europe, which was one of the coolest things I’ve done and I can’t wait to return (hopefully next year)!! I’ll be sharing a LOT of that with you no doubt. More about me? I hate silence and hate being quiet. I LOVE chocolate and wine, music and pretty things. I love making things look pretty – hence why I am a designer. My second passion is maintaining a healthy lifestyle, so I therefore love my fitness (be prepared to read a LOT about this!). I am motivated and inspired by motivating and inspiring others, which is the main purpose of this blog. So I will be discussing all things Brookie, Business and Beautiful, and I hope my enthusiasm and stories inspire you to achieve you own dreams.